We've previously reviewed several petrol generators from Machine Mart, and have been extremely impressed with the specifications, performance and overall excellent value for money. So we were delighted to be asked to review two updated models for 2018, the IG2000B 1.8kW Inverter Generator priced at £419.98 inc VAT (reviewed below), as well as the Clarke IG1200B 1.1kW version. The Clarke IG2000B is the bigger brother of the IG1200B, and is ideal for those who require a little more power. It has a maximum output of 1800W, and can provide continous output of 1700W. The review request came at the perfect time for us, as we were just getting our caravan back into action for the coming season after it's winter layup, and the IG2000B meant we could do the jobs we'd have been unable to do otherwise! Inside the box they supply 12v charging leads, a spark plug remover, and screwdriver, and very simple easy to follow pictorial instructions. If you're a newbie to generators you don't need to worry, it's very simple to get going. The generator needs to be filled with oil before we started (it takes SAE30 which is widely available). It is based on a 4 stroke petrol engine, which means there's no complication of needing to add oil or lubricant, just top it up with unleaded petrol and you're ready to go. This also means it is quieter than 2 stroke engines. First up was cleaning the outside of the van: We have running water at the storage location, but no mains power, so we used the IG2000B to power our jetwash for (gently!) cleaning the winter grime and muck off. It started very easily, and we were pleasantly surprised at the sound level - we had no complaints from our neighbour who was loading his van ready for a trip out. Once we'd washed the outside of the van, it was time to tackle the interior and because of the powerful 1800w output we were able to use the IG2000B to power our mains hoover, rather than putting up with the feeble 12v vacuum we sometimes use. It features an "ECON switch" and with this turned on the engine speed varies according to the load connected, and results in decreased fuel consumption and less noise! In practice this was great, as when the hoover wasn't turned on the generator speed reduced and was much quieter. This feature should also prolong the lifespan and reduces running costs of this device. When used for a 240V supply, the IG2000B uses "sine wave constant voltage technology" which is more stable than the normal mains supply and is therefore ideal for powering sensitive equipment such as computers, TVs etc As well as the powerful 1800W 240V output, with two standard 13A sockets, the IG2000B also has a 12V DC output. This means you can use the supplied charging leads to directly connect it to a leisure battery if required, and top up the charge at 5amps. At 19.4kg, the IG2000B is still portable enough to lug around, and is a great compromise between a little extra weight, and the more powerful output for the more demanding tasks. 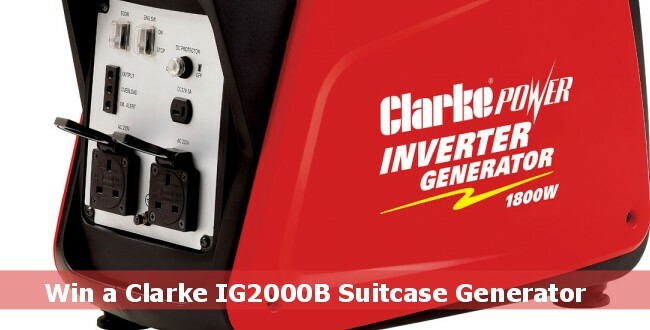 All in all, another great product from Machine Mart and Clarke, and we can highly recommend the IG2000B generator for those whose power requirements are a little higher, and it enables you to use equipment you'd never normally be able to whilst camping or caravanning. Machine Mart may not be the first place you'd think of for camping and caravanning equipment, but they stock a great range of petrol suitcase generators, perfect for campers and caravanners. We've teamed up with Machine Mart to give you the the chance to win a Clarke IG2000B 1.8kW Inverter Generator worth £419.98. For your chance to win click here - competition now closed! Is this a practical generator for keeping leisure batteries charged? I have a boat that I'm moving to a mooring without 240 volt power link-up, so when I'm away from the boat will this give me just the charge I need for two 110ah batteries that might be left for a month or so? At present, I plug in and trickle charge my batteries whenever I go to the boat every four to five weeks. 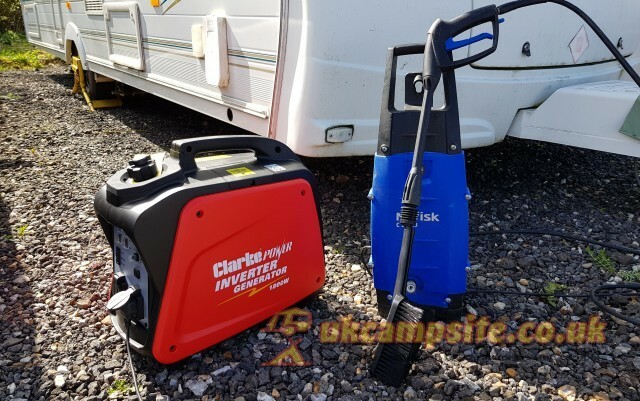 Read our review of the Clarke IG1200B 1.1kW Suitcase Petrol Inverter Generator from Machine Mart. Lightweight and powerful, it is perfect for camping, motorhomes and caravans. Plus get a chance to win one! 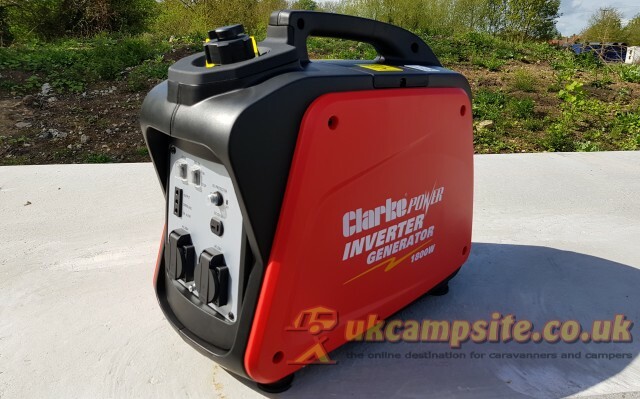 The Clarke IG1200 Inverter Generator is a powerful, lightweight, quiet, portable generator that provides 230V ac power wherever it is needed, perfect for camping, motorhomes and caravans. Read our review, enter our competition to win one. 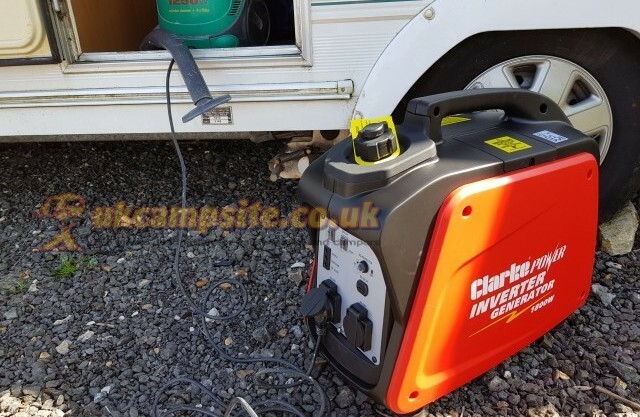 The Clarke IG2000 2kW Inverter Generator is a powerful, lightweight, quiet, portable generator that provides 230V ac power wherever it is needed, perfect for camping, motorhomes and caravans. Enter our competition to win one.